Indwelt by the light of God that continually produces good works springing from that love God has poured into our heart before (Rom 5:5), we can experience that there is nothing greater in this world and beyond than His Love offers. God’s Love is better than being right, better than being successful, better than being known, and better than possessing all material things one could wish for. GOD’S LOVE is even beyond all the feelings we have known so far. Agape love is far more than that. Mature love gives and does not expect from others what they should do or not do so that the lover feels comfortable all the time. True love walks the second mile, always gives its all, loves passionately and patiently, and sees all things as they should be – not as they are (perhaps “still”). Okay, okay. I have covered enough theory now. 😉 Therefore I want to add one of my own experiences with divine love here [By the way, I translated the following narrative from my German spiritual diary into the English language]. It was on a Friday afternoon in January 2000 that I had just finished a boring shopping tour [Yes, I hate shopping 🙂 ]. 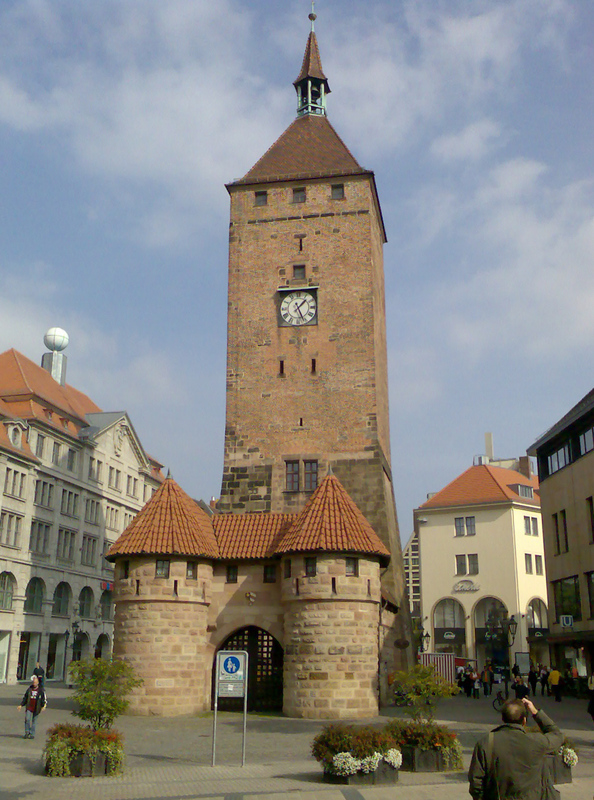 Walking through downtown Nürnberg, I was looking forward to returning home. Suddenly I realized that I felt more and more joyful, not knowing WHY. Looking at the circumstances – hurrying people around me and the fact that I neither liked shopping nor being among many people – I became aware that something had changed in my heart. Indeed, I had been flooded with an increasing love for those around me and I even “forgot” where I was. In very good spirits, back then, I arrived at the subway station „Weißer Turm “. As soon as I had placed my feet on the escalator downstairs, something really unusual happened to me. The farther I was riding down, the more I was drawn into a soft and bright light that illuminated everything and everyone that were there. A new world, unseen before, had opened its gates into a heavenly condition which is normally hidden to all of us. More and more, the whole subway station was flooded with the presence of God. His wonderful peace, unspeakable joy and His all-embracing unconditional love which excludes no one were permeating throughout that peculiar place. Filled to the bursting point with divine joy, I became aware of a homeless man who was standing on the floor between the two staircases which led to the subway. Without thinking about what I should do or not, I approached him immediately, opened my purse [very glad that there was still a greater amount of money inside] and offered my help. Looking at me in disbelief, he didn’t dare to take the money I wanted to give him. However, God’s waves of love didn’t stop flooding me and I pressed the bill into his hand. Dear Susanne! What a wonderful experience you have shared here! Yes, the love of God surpasses all reason and understanding. It is amazing how He can come into us and flood us with such a rich emotion and feeling and then show us an individual for whom it is especially for as he did with you and that homeless man. I have had Him do that to me on many occasions with total strangers — point them out to me and tell me to pay their restaurant bill or go up and give to them generously. For me it has been more His gentle nudge to do so, than yours which was so graphic and filled with His presence. But I certainly could feel His love for them in each case. On one occasion I sat in a local restaurant and as is my habit I was facing the entrance (for I love to study people). As I sat there with my friend I could see this older couple getting out of the car in the parking lot and walking hand in hand to the door. There was such tenderness and love between them. Well, they came in and sat at a booth where I could see them and as I watched them, I heard the Lord tell me to pay for their meal. So, as we left, without drawing any attention to myself, I asked the waitress for their bill as well as ours and paid for it. The next time we came in the waitress was so excited to tell me what happened after we left. When they went to pay for their meal she told them it was taken care of. They insisted on knowing how this could have happened and she told them. Then they said, “This had to be an angel! Total strangers don’t do that.” She assured them that we were regulars there. It turned out that they were from out of town and just passing through and they were praising God for it all. By the way, not very many women I know would let a homeless man hug them and hug him back… this shows me how you truly are led by God’s love as He directs you. I know you are precious in His sight, dear sister! Thanks for sharing such a touching story of faith and love. Wow!! And what a touching testimony you shared with us here, Michael!!! Yes indeed, the “gentle-nudge-thing” is the usual way God acts, I know that, too. As for hugging a homeless man… I gladly admit it was not the last time I did it. Stopping abruptly, I asked God whether that had really been His voice, since as I looked into the direction where I should have gone if I had obeyed immediately, it made NO sense to me. It was not my way home and there was NOTHING to see why I should cross the street. PHEEEW! I was still wondering why I had to be on the other side of the street as I saw another, very desperate homeless man who walked straight up to me, asking me for a few cents. Looking at his frostbitten hands, I was shocked, asking him in return where he could warm up again. He told me that there was a certain warm room for homeless persons and that he could sleep there too. But he were not often there because an overnight stay in such a room would be too expensive. I asked how much money he would need for one night and – THANK GOD – I could give him the money for several nights’ stay. He didn’t want to take the money, either, but I emptied my purse completely and said I would give him more when we’d meet again. He was so moved to tears that I hugged him this time. We stood there quite some time in front of a pharmacy and a fashion shop and felt waves of God’s love flooding through us both. Nobody should be despised due to the fact that their life was not business as usual and that they are forced to live on the streets. All of these homeless people have life stories others would not love to hear. Such things could happen to us all. And if so, how glad would we be if God sent a messenger who cared for us because HE had cared before. wow Sue that surely is a work of divine essence–and its not just talk its reality that was expressed through you to that man–I know what your talking about because I myself have had the same experiences–thanks for the revelation of your experience–it speaks volumes. Thank you for your confirmation of the divine reality I have been trying to share here, my brother. It is very difficult to describe as you certainly know yourself, Kenneth. Also, I would be interested to hear some of your own experiences as well. It would be wonderful if you shared them here on my blog or elsewhere (only if you like, of course 😉 ). ok I will in the future–stand by. What a great testimony. Thank you for sharing. The challenge to me is to be inspired by His love, not some lesser motivation. My prayer is “Lord, remove from me selfish motivations, and replace them with the motivation of Your love”. Your prayer is wonderful – YES and AMEN!!! Thank you so much for sharing your own testimony, Wayne! It was so very honest and humble what you wrote on here!! And OUCH as to the “double shot” – anything but easy for you, I guess. 😦 Actually, it is way more difficult to be on the receiving end of God’s grace, particularly through another PERSON, than to be used as His instrument that passes His grace along to others. Every blessing to you, my brother! Susanne, I rejoice with you in such a wonderful experience! The Lord has allowed me to know some similar experiences. When His Love floods us, it can’t help being poured out to others! Thank you for sharing this ♥. Reblogged this on White Raiment. Thank you so much for reblogging my article on your site, Brenda! I feel so honoured!! Wow I have tears in my own eyes. You are very blessed. Oh, thank you very much, Fred! Your words touched me deeply. May God bless you immensely in the days ahead, my brother! That is the best kind of love that anyone can ever experience! I felt it immediately! Thank you so much for sharing this! This is what we need! Love! I am feeling love tonight anyways. Thank you Susanne!